The Fitbit Versa is up there with the likes of the Apple Watch and the Samsung Galaxy Watch in terms of the best smartwatches you can get on your wrist right now. Yes, you get all of those slick fitness and sports tracking skills, but you didn't buy it just for counting steps and logging sleep now, did you? 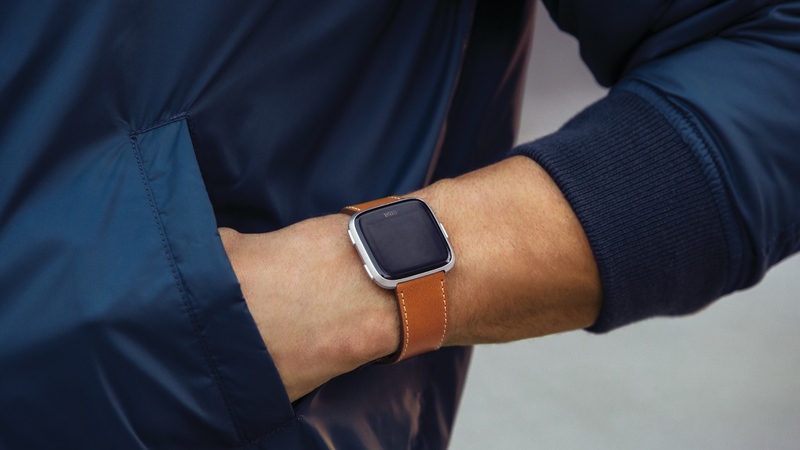 One of the smartwatch basics the Versa can perform is giving you the ability to respond to messages when they pop up as notifications on your watch. There are no keyboards or keyboard apps (yet) that let you hammer out responses on that small screen. But you do have the ability to send customised responses or 'Quick Replies' through select messaging apps, offering a smarter and snappier way to let your contacts know what you're up to. This feature actually applies to the Fitbit Ionic smartwatch too as both of Fitbit's watches run on the same operating system. If you want to know how Quick Replies work and how you can set them up, here's our breakdown of the core smartwatch feature. Which phones support Fitbit Quick Replies? Before you start exploring this feature on your smartwatch and your phone, you should know that the ability to respond to messages varies with different phones. For the best and most complete experience, you'll need to have your Versa paired to an Android smartphone running Android 7.0 or later. If you want to find out whether your Android phone runs the required version, the information should lie generally in the same place for most Android phones. But it can differ on each device. Try heading into the Settings menu on your phone, looking for System and then About phone. Look for Android version and you should be able to see here if your phone is ready to support Quick Replies. Now if you own an iPhone or a Windows 10 smartphone, you unfortunately don't have the ability to respond to third party messaging apps. You do though have the ability to respond to Fitbit app notifications. That includes receiving messages from other Fitbit device owners, reacting to cheers and taunts fellow users send you and dealing with friend requests. Quick Replies currently work with a host of apps including Twitter, Gmail, Facebook Messenger and Line. They will also work with text messages received on your smartphone. If you want to know which apps are supported, you can do this from inside the Fitbit companion smartphone app. To view this list, open up the app and tap on the Versa icon. From there you'll see the option for Quick Replies. Tap this and it'll display a list of compatible apps that are currently installed on your smartphone. If you follow the steps described above to find the apps that work with Quick Replies, you can also tap on those supported apps to see the default replies you can choose from. These default replies come in two options – Text and Emojis. You'll have a maximum of five replies to store and choose from. The good news is you can override the default options to come up with your own. For text replies, you have a 60 character limit. For emoji replies, tap the emoji you want to replace and this will bring up your emoji tray to swap to something you use on a more regular basis. When you've decided on your new replies, tap the back arrow button at the top of the screen to save the changes. The next time you sync your Versa, the new Quick Replies will be synced and should be available. So you've decided on your customised responses and synced them to your smartwatch; here's how you can start using them. When a notification appears on your watch that supports Quick Replies, you should see the option of Reply or Replies. If you don't see these options, that particular app doesn't support this feature. Now simply pick a text or emoji and you've done it. Quick Reply completed. As mentioned, this is the same process you'll need to follow to use Quick Replies on the Fitbit Ionic too. Any questions? Let us know in the comments section below. When I first got my Versa, I was receiving emails and text messages, and I was able to see the reply option, but when I tapped it it didn't do anything. Now the reply option is not even showing. Any thoughts as to what the problem could be? I have a Google pixel 3 and can't receive texts. Any idea when that feature might be added?